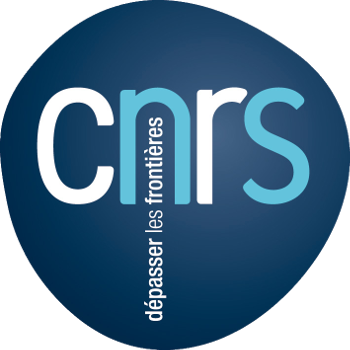 The Group Model, Agent and Decision in the Lab of Research on Image processing, Information processing, Computer science and Electronics of Caen (GREYC) at the university of Caen Normandy (https://www.greyc.fr/?page_id=439) is recruiting Research Associates to perform cutting-edge research on Artificial Intelligence Reasoning, Planning and decision-making in autonomous systems for public spaces, surveillance and security. The positions represent a unique opportunity to work with truly world leading academics and fellow research associates (a total of 20 members) on frontier research for AI and robotics in complex environments. The research group focused on Model, Intelligent Agent and Decision-making activities are designed to lead advancement in AI technologies and key robotics that will create a step change in current practice of Assistant robots in public space and drones in complex situations for surveillance and assessment. 1) Position 1: Social Navigation and interaction where the social norms should be considered. Classical algorithms for navigation and interaction should be revisited to consider the welfare being of humans when the robot navigates around or interacts with them. b) Required programming skills: ROS, Open CV, C/C++, Java. 2) Position 2: Path planning in public space should consider a very large map where the representation is huge and algorithms becomes time-consuming and not reactive. Also, there are varieties of topologies to manage leading to new challenges for path planning and navigation algorithms. 3) Position 3: Active perception as decision-making problem where a system maintains a belief on the hypothesis and should disambiguate the situation by acting on sensor to change his beliefs and to improve his situation awareness. A new epistemic model using probabilistic models should be developed with efficient algorithms evaluated on robots for surveillance and security. a) Theoretical required skills: Information theory, decision-theoretic approaches (POMDP), Bayesian belief propagation. 4) Position 4: Muti-robot coordination for assistance in public space where we develop a system for multiple robots with multiple KB, distributed reasoning with different knowledge and information that should plan and act in a coordinated way. This problem consists in developing distributed reasoning and decision-making with or without communication to develop a joint coordinated activity of a fleet of robot. a) Theoretical required skills: Multi-agent systems, Decentralized decision-theoretic (DEC-POMDP, ND-POMDP), multi-agent planning. b) Required programming skills: ROS, Open CV, simulation tools, C/C++, Java. a) Theoretical required skills: game-theoretic approaches (POSG), Augmented models, distributed solving problems. 6) Position 6: Coordination between autonomous and semi-autonomous systems. In this problem we re-visit all coordination techniques of coordination where most of them assume that plans of the other systems are known. In this post-doc position we are interested in coordinating cooperative systems where some of them are semi-autonomous and the human is in their control loop where he can change their behavior. We will investigate all these research directions in the context of robotic projects funded by different French government entities. Most of these positions are developed in cooperation with French academic and industrial partners. Candidates should have a PhD in computer science and/or robotics. Strong competences in mobile robotics, IA techniques: Reasoning, Planning and Learning in multi-agent settings are required, with hands on experience with implementation of algorithms on real robots. Candidates will work as part of a large team of researchers and we expect excellent communication and teamwork ability from any candidates to these positions. Th post-doc salary is around 2600€/month but taxes should be excluded. Applications will be fully considered until the positions are filled. The positions should start as soon as possible. A first vague of positions should start in the mid of September, beginning of October. The second vague, the beginning of November.